Thirteen (13) small and medium scale farmers are set to spend one week in Netherlands on a learning expedition in what is the world’s second largest exporter of agricultural produce. On their visit, the farmers will visit some of the most successful farmers taking advantage of partnership opportunities as well as exploring innovations and best practice that they can apply in Uganda. The State Minister for Agriculture Christopher Kibanzanga officially flagged of the farmers who leave for the Netherlands on Saturday the 17th of June. 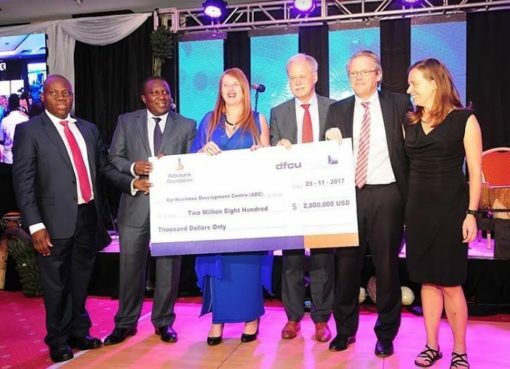 Speaking at the event, the chairperson dfcu Bank, Jimmy D. Mugerwa revealed that dfcu in partnership with Netherlands based Rabobank have set up an Agriculture Advisory Centre, which will be operational by July this year. “With Uganda’s heavy reliance on agriculture, it is critical that there is cross industry collaboration to support the shift from subsistence to commercial farming which is more lucrative. 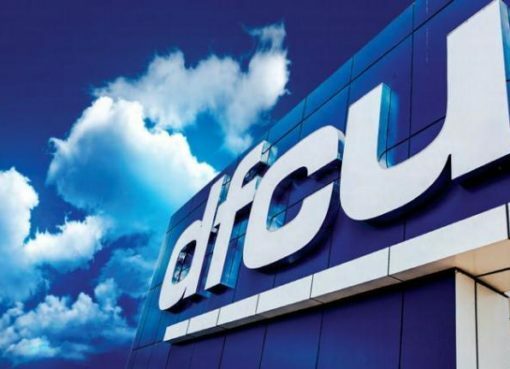 dfcu’s Advisory Center will complement the efforts towards improving the skills set within the agricultural sector,” he said. Dfcu has adopted the value chain based approach to support the transformation of the agricultural sector through financing and capacity building of farmer organizations/associations engaged in viable agriculture projects including coffee, cotton, tea, among others. 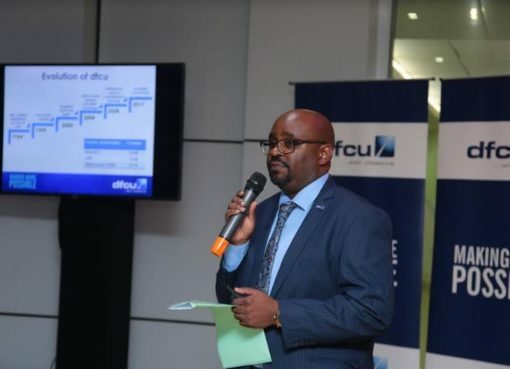 As part of dfcu’s agriculture agenda, the Bank is supporting the small-scale farmers to commercialize through products such as the Farmers Group savings accounts, which encourage farmers to save and have access to affordable credit when the need arises. The 13 farmers emerged winners in the ‘2016 Uganda Best farmer’s competition’ which show cases the best farmers and the best framing practices nationally with intention to inspire farmers in the adaptation of commercial agriculture methods. It is a partnership between dfcu Bank; Vision Group under the New Vision; KLM and the Netherlands Embassy, which has been running since 2014.